We have another reivew on how to fix most of the problems here. 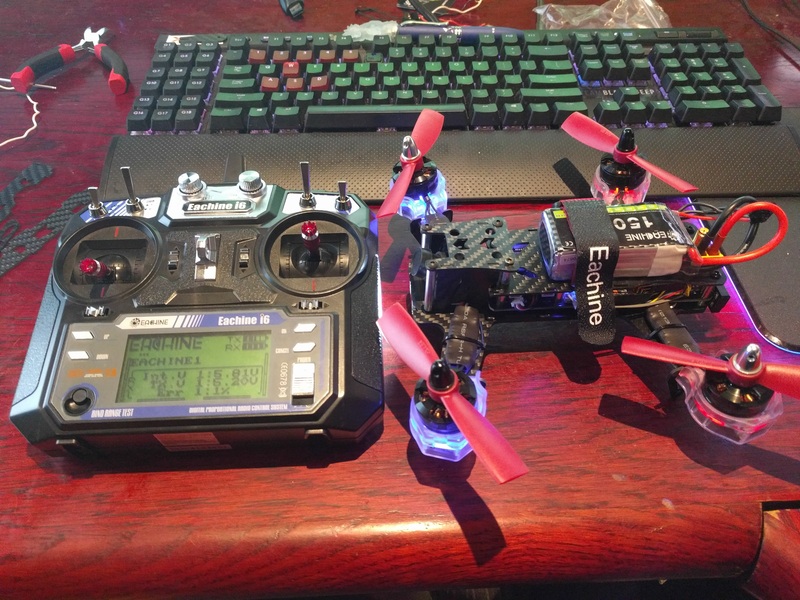 1 x prebuilt Eachine Wizard X220 with FPV setup. 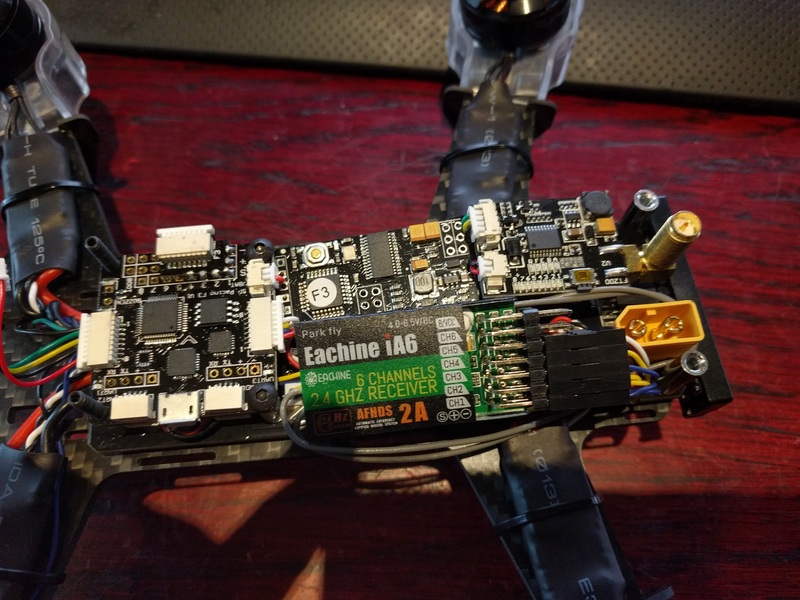 1 x Eachine i6 transmitter, mode 2.
spare bolts and a prop nut tool. Out of the box you can see some of the extras not normally seen on most mass produce RTF quads. 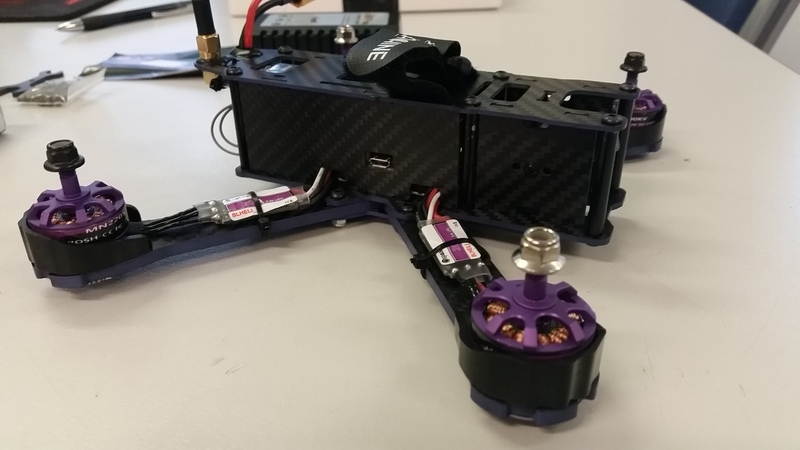 It has motor mount LEDs on all 4 motors and its carbon edges are highlighted in purple to match the 2205 2300kV motors, and motor guards pre installed. 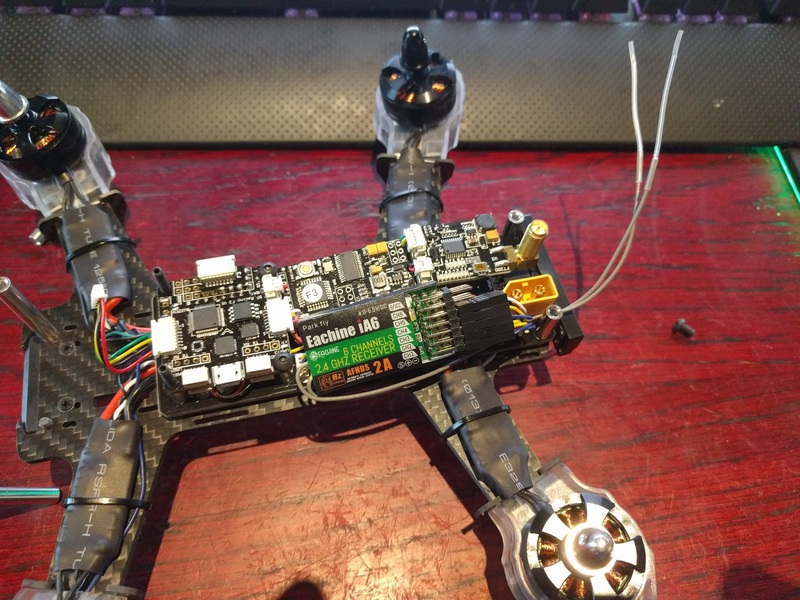 The frame looks quite sturdy and capable of handling some impacts, the arms are 4mm and the body is well braced. 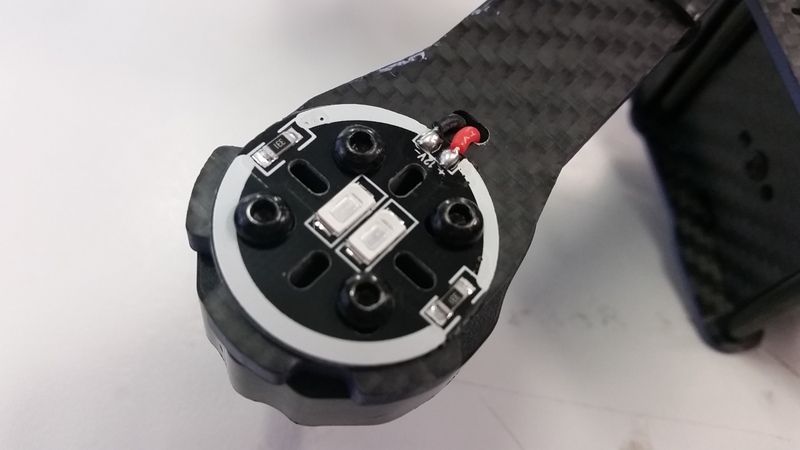 The Xt60 and VTX antenna both pass through a rubber grommet in the top plate to protect the wiring. 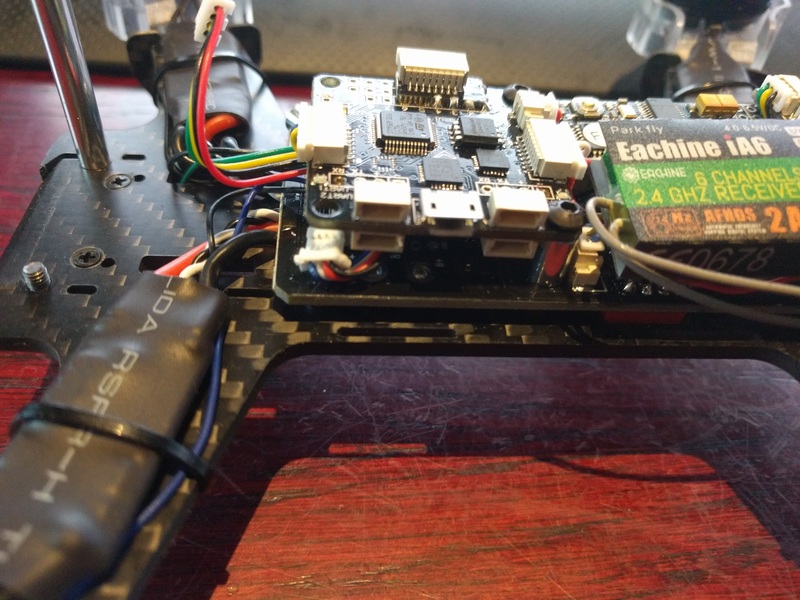 The ESCs are Eachine branded 20A Blheli-S 2-4S capable, and the VTX is a 48 channel 5G8 200mW. Wiring looks fairly neat and solder joints are nice an shiny. Total weight without battery is a bit high @ 386 grams. 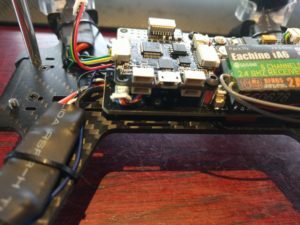 The supplied battery puts it up to 540 grams. 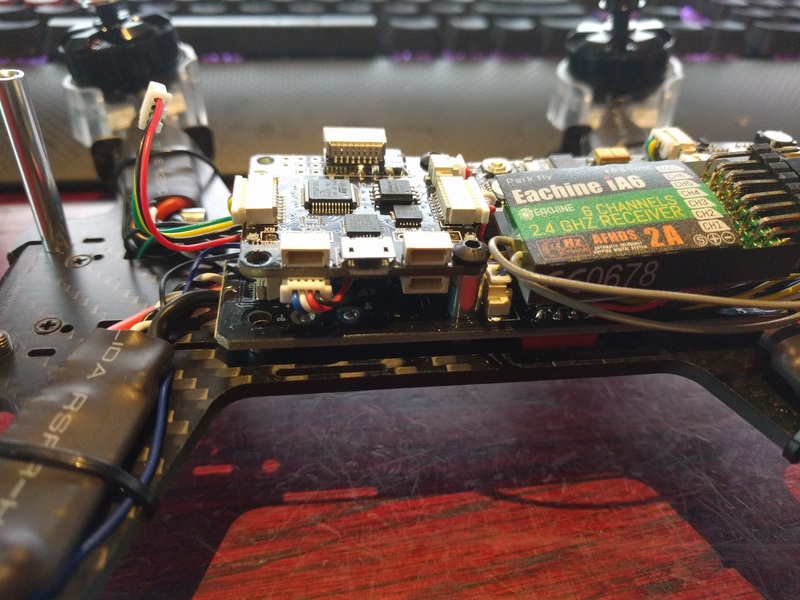 It comes with Cleanflight installed out of the box on a F3 board, with angle mode engaged and motor stop on. So the first thing I changed was to engage motors once armed. Please note, it does not include a buzzer. And motors have CW and CCW threads. I had high hopes for this beginners craft, despite it being a little porky. 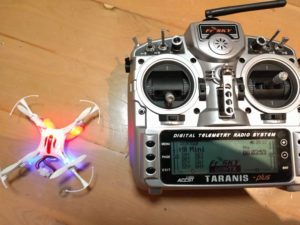 It appears reasonably well assembled and has some aesthetic qualities in a package that is geared towards the beginner/intermediate pilot who may be on a budget. I was disappointed to find out that the included 3S 1500mAh @ 25C was poorly selected for this craft. With a set of 3 bladed cyclones the quad could barely hover let alone ascend with any speed. Hovering was at over 60% on the throttle and full throttle resulted in a slow, gradual climb more suited to a aerial photography drone. I went back into Cleanflight to double check the Tx was calibrated correctly, and sure enough it was hitting 2000 on the throttle channel. 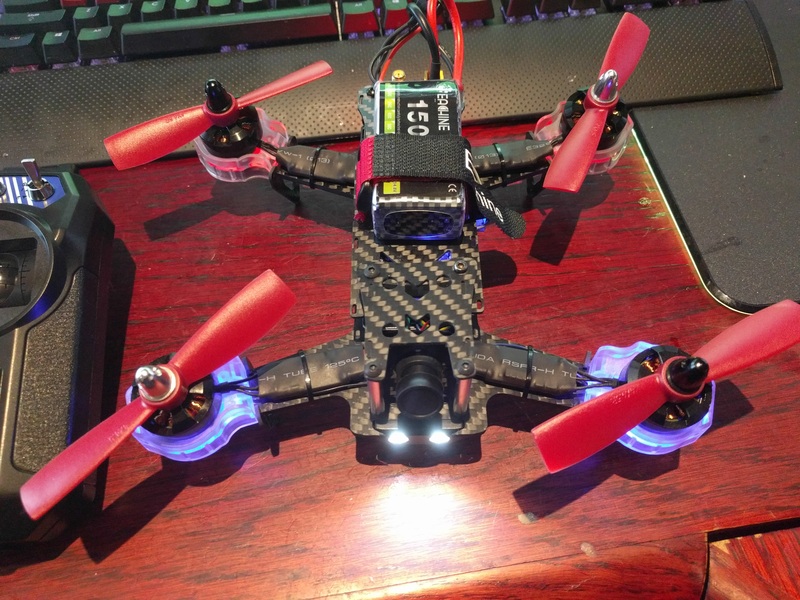 So out of the box with the battery provided I would say its nearly unflyable, with 5 inch three blade props anyway. Perhaps it would be marginally better with a tradition prop, but I doubt it. 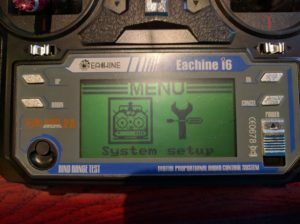 As per our other guides, I usually take and test the Eachines new quads before I commit to buying them in bulk and recommending them to customers. 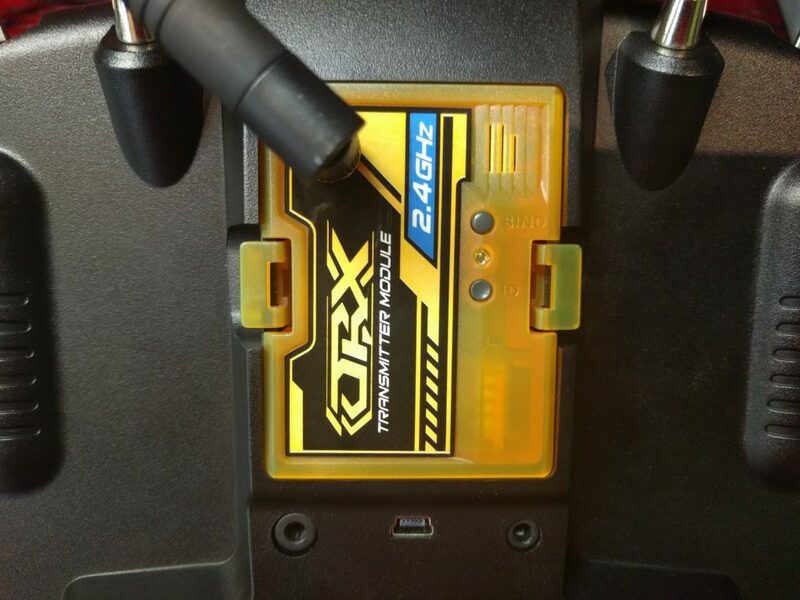 In some circumstances we buy them anyway and sell them as “SUPER UPGRADED” versions with the fixes complete as most people who are buying these quads are relatively new to the hobby and have no idea what they are doing. 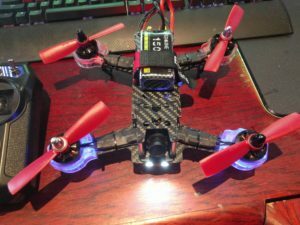 Is this ready to fly? NOPE! 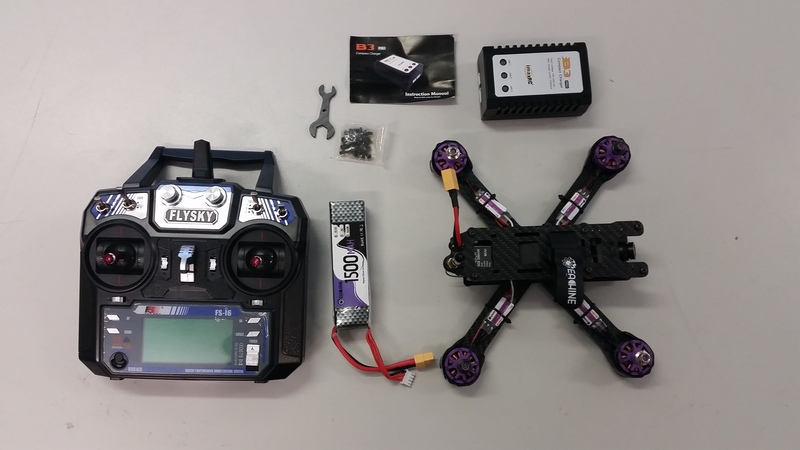 If you are a beginner and you can’t follow the guide below, don’t buy this quad! If you are up the challenge of change settings below, you can then fly on Angle or Horizon Mode (auto stabilise) and learn to fly. 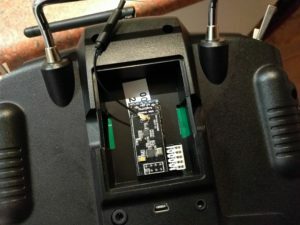 AUX 1 is set to Knob VRA and it does nothing. 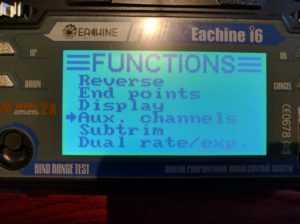 AUX 2 is set to Knob VRB – AUX 2 Does Not Work! 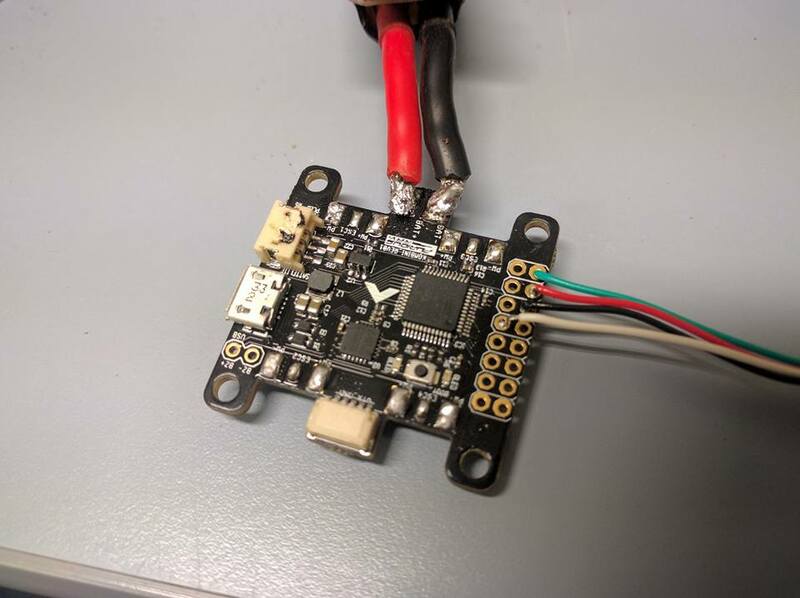 OSD on same UART port – TX/RX pins need to be removed if you want to access cleanflight. 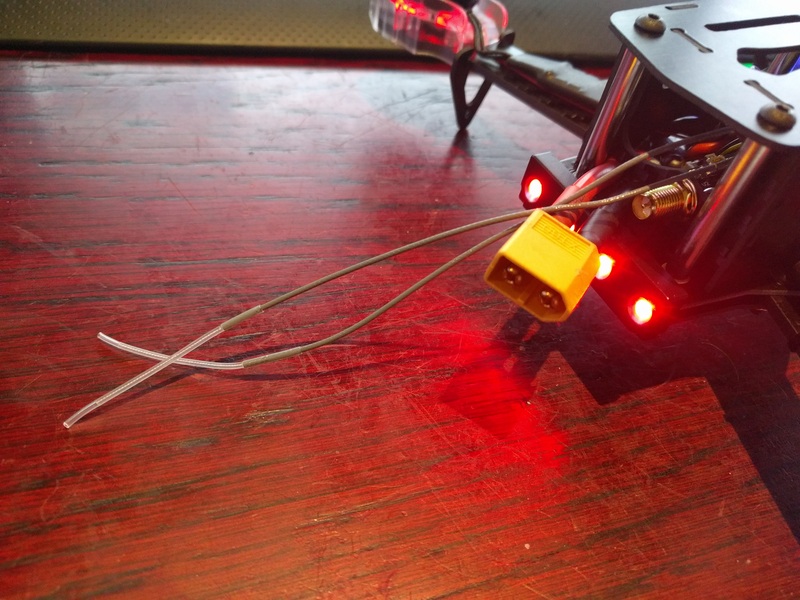 If you turn off dip switch 4 to 0 FC is no longer powered as it runs on the same 5/12v rail. 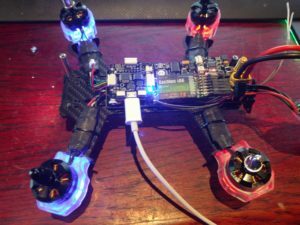 No Flight Modes set, only Acro Mode! 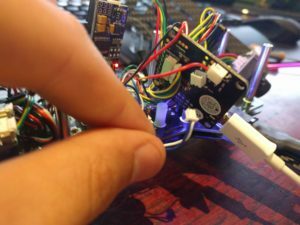 No Buzzer by default – you can add one if required! Improve battery strap, it is not very strong at all. 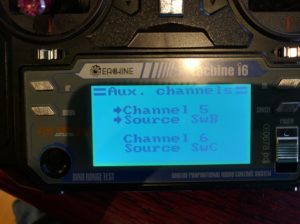 Now that you can enter the setup of i6, goto Functions Setup, Aux Channels, then change Chanel 5 to SwB and Channel 6 to Swc. Hold down Cancel to SAVE. Switches for modes and settings are way better than turning Knobs! On our AUX 2 We could not get it to work with this default setup from Eachine. 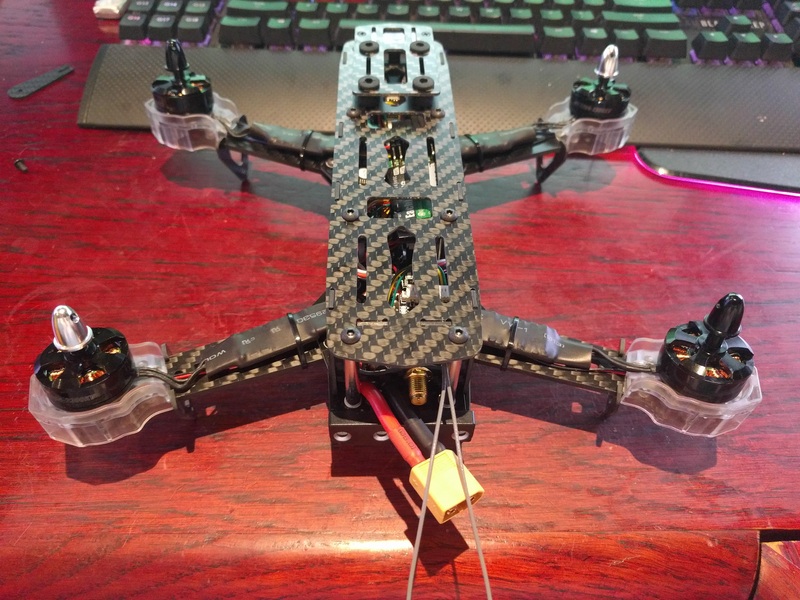 Get some Cable ties and heat shrink and mount the aerials facing upwards so there is no chance props can hit them. In default position they will get chopped by props straight away! Another method is just to place aerials inside the frame, however range won’t be as far. 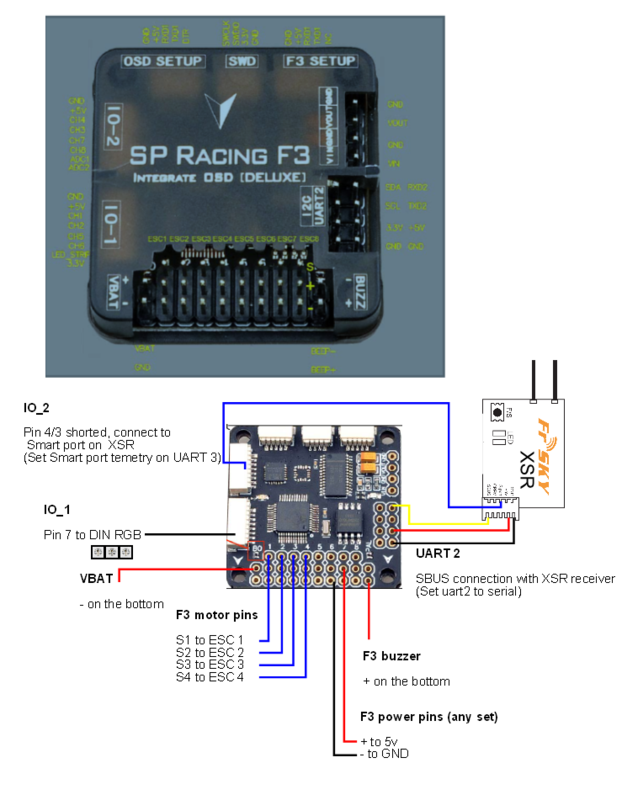 On theSP RACING F3 version it seems the OSD is running on the same UART port as the FC. If you want to do step 7 and 8, it is required to disconnect it as per pictures. I noticed that if you turn dip switch 4 off, it cuts all power to the naze32, so be sure not to do this if you are turning off your lights! This last stage is quite a bit of work, but hang in there. 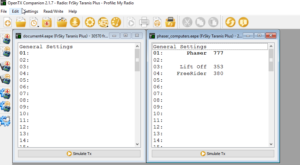 We are going to upgrade to cleangflight 1.13 and then set it up correctly and configure the switches on your radio. 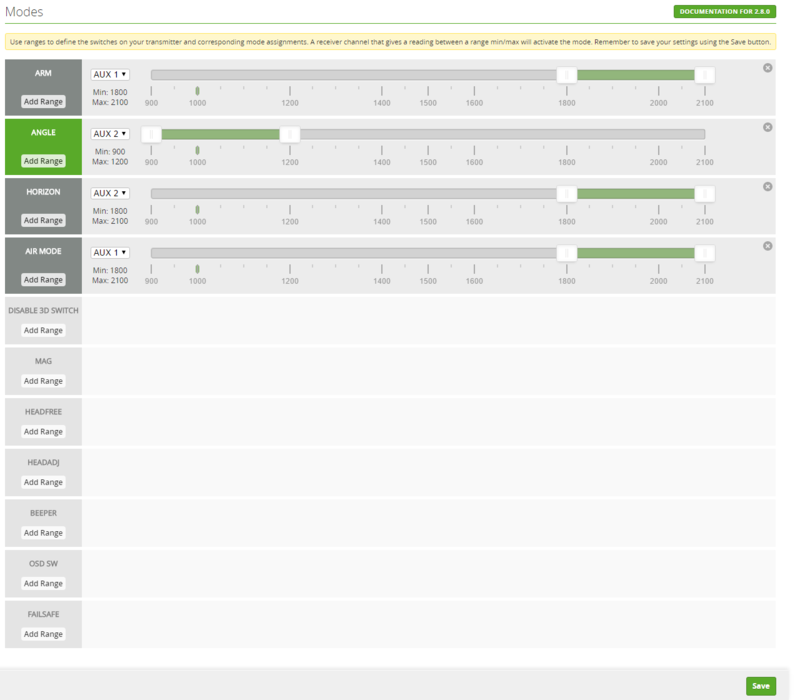 Install the Cleanflight Configurator from the Chrome Web Store. Download Latest cleanflight or Betaflight _NAZE.hex from release pages. For difference on Cleanflight vs Betaflight view this article. In Cleanflight Configuration, make sure you disconnect from your quad, then click the firmware flasher tab. Select file you downloaded from Step 3. -Full chip erase.-Manual baud rate 256000. You are now on Cleanflight/Betaflight! 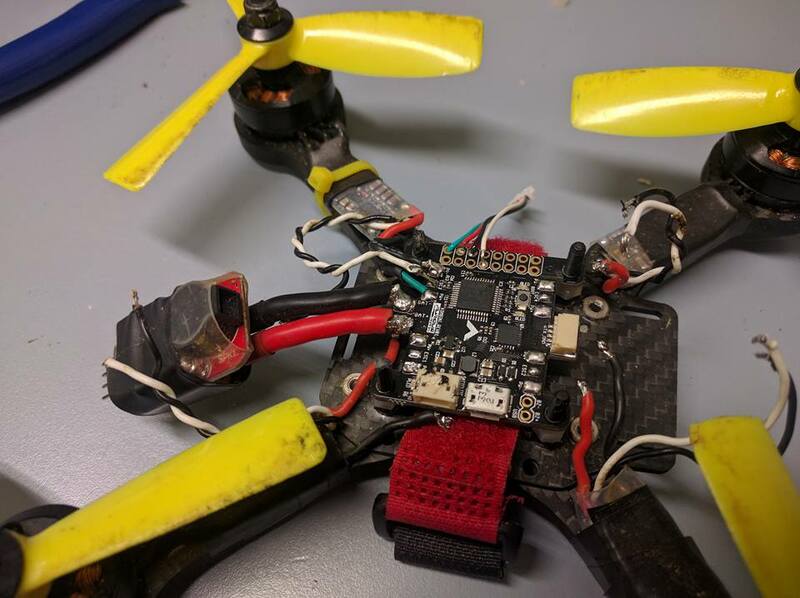 Click Connect at the top right and if successful you should see your quad like this. 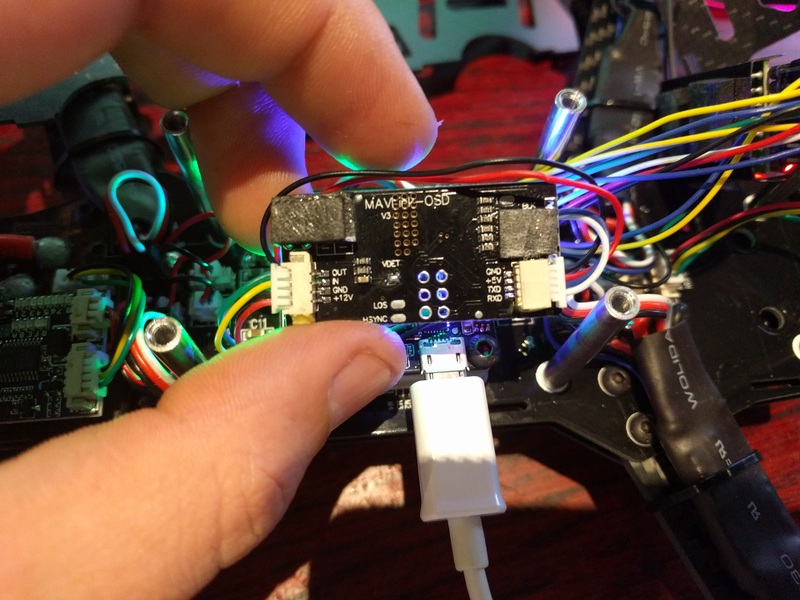 Place Quad on flat surface and under setup, click calibrate accelerometer. You can also turn blackbox off here if you do not require it, it will give the CPU less work if so. 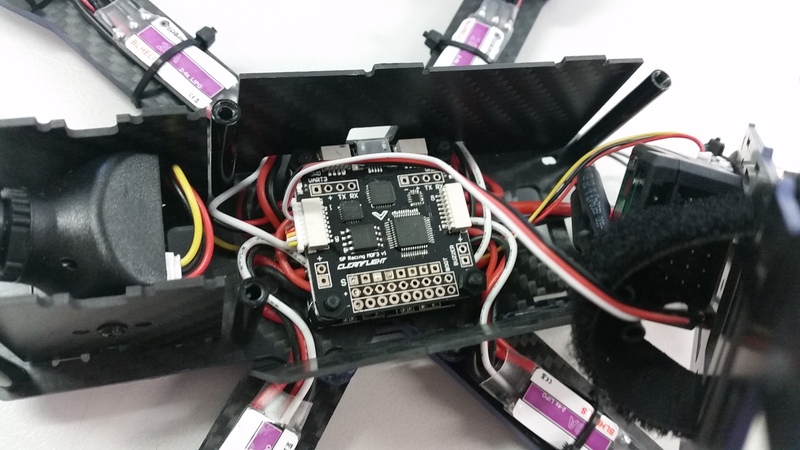 Now we need to calibrate ESC, go to the motor tab. remember, you should have removed props at the start, if you didn’t, DO THIS NOW. Plug in battery, wait till you have heard all different types of beeps. 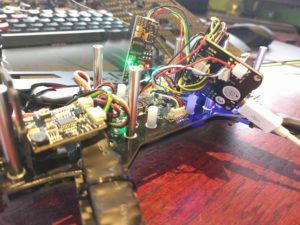 ESC Calibration is now complete! 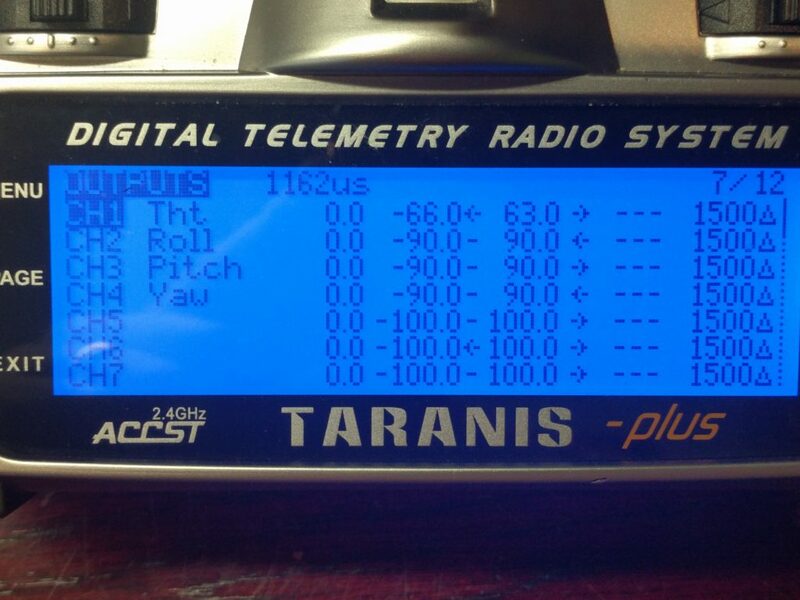 If they come on at very different throttle inputs, redo your calibration! You can up these rates more if you like. I personally fly on 0.9 for all three. Now go to receiver tab, and check all your transmitter channels are correct. Since we changed the knobs to switches for AUX 1 , we can now move on to next section and setup the switches. FYI, No mode selected = ACRO+ / Rate mode by default. If you are a more advanced Pilot, you may want to change SWB 2 to Airmode and still use the Yaw right, Yaw left to arm and disarm. Give it a test flight! Make sure you are open space in case you missed a step and it crashes. If you are a beginner and you can’t follow the guide below, don’t buy this quad! If you are up the the challenge of change settings below, you can then fly on Angle or Horizon Mode (auto stabalise) and learn to fly. Get some Cable ties and heat shirnk and mount the aerials facing upwards so there is no chance props can hit them. In default position they will get chopped by props straight away! 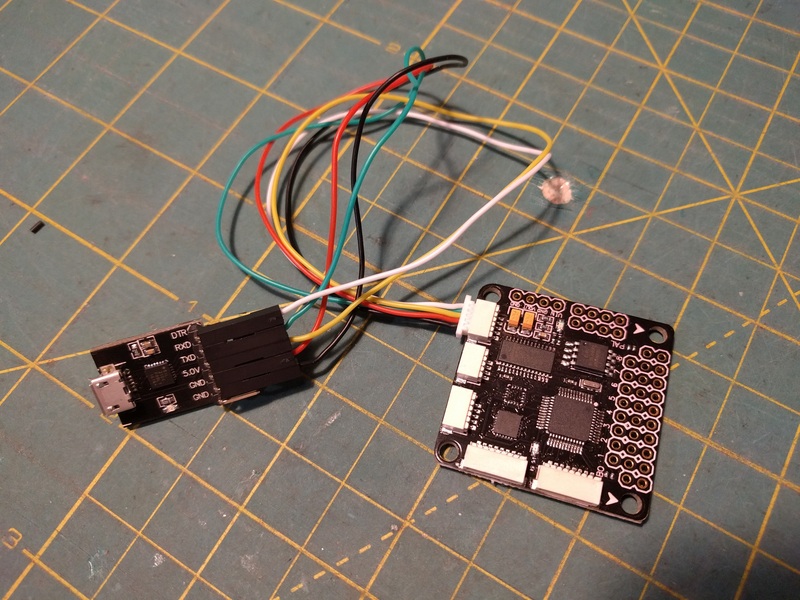 On the NAZE version it seems the OSD is running on the same UART port as the FC. If you want to do step 7 and 8, it is required to disconnect it as per pictures. Since we changed the knobs to switches for AUX 1 and AUX 2, we can now move on to next section and setup the switches. 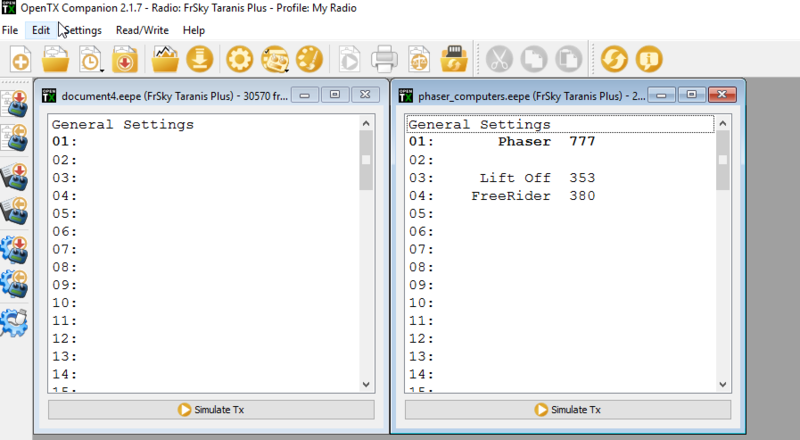 Rattitude mode = Horizon ModeIn the below screenshot I have setup the following for my switches. The guide below is for the H8 Mini, however CX10 is pretty much the same. Now you should see a window with your models. Go back to Open TX Companion and go to file—> open and select the eepe file you downloaded at the top of this guide. You should now have another window to the right with the model. Simply drag it across to your models in a free slot. 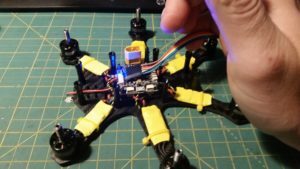 Select the Model and then bind to your H8mini! This board gives you the ability to mount the usb port externally where ever you want! 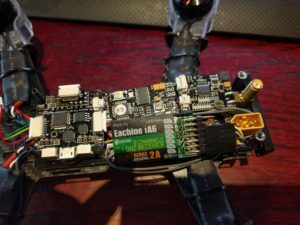 The board comes with Cleanflight 1.10 as standard. 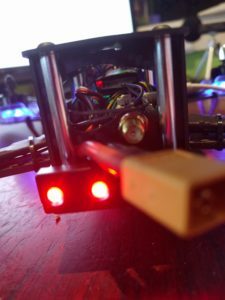 To flash another version or betaflight choose options below. Now to setup your OSD, change the port to label OSD as below. The F3 board is preloaded with MWOSD. Download MWOSD 1.6 (Version we used) click connect and setup as required. 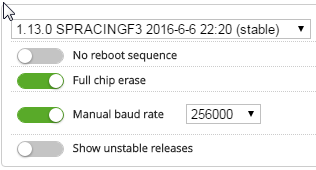 Everything else is the same as a standard F3 Chip. 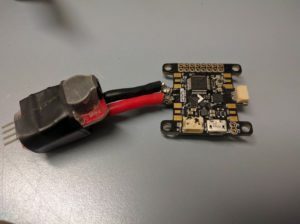 Dont forget to turn on Serial connection in Cleanflight on Uart 2 and set telemetry to smart port in Uart 3. If you require any other information, you may try this manual, however it is the DELUXE board, so some features may be different. 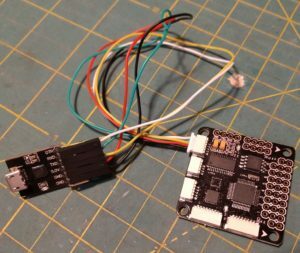 This guide is designed to walk you through flashing MWOSD software to any OSD board, or update to a newer version. There are many ways of configuring your inbuilt OSD and many different variations of the software you can use. 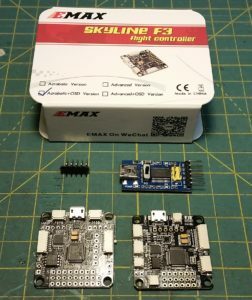 It is compatible with Multiwii software intended for Minim OSD, which comes as a standalone chip. With it integrated into the flight controller you are able to minimise your wiring and layout, and monitor all sorts of details from your craft. 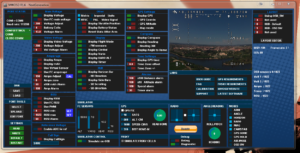 Specific versions allow for direct links to Cleanflight, using data from the FC itself to minimise connections. 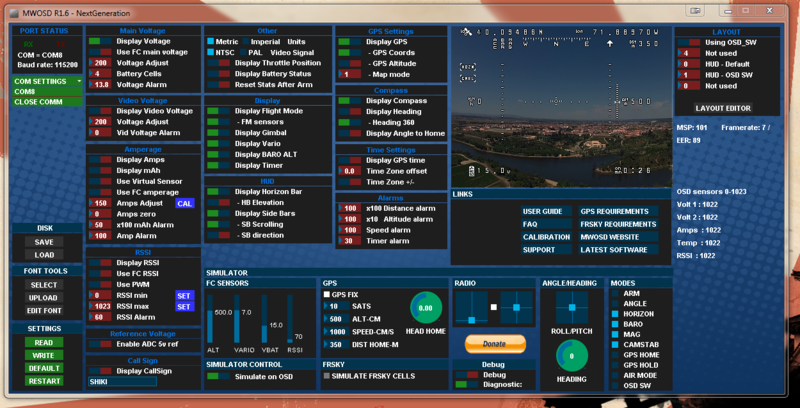 It also allows for customising the look of your OSD including layout, features and fonts used for display. 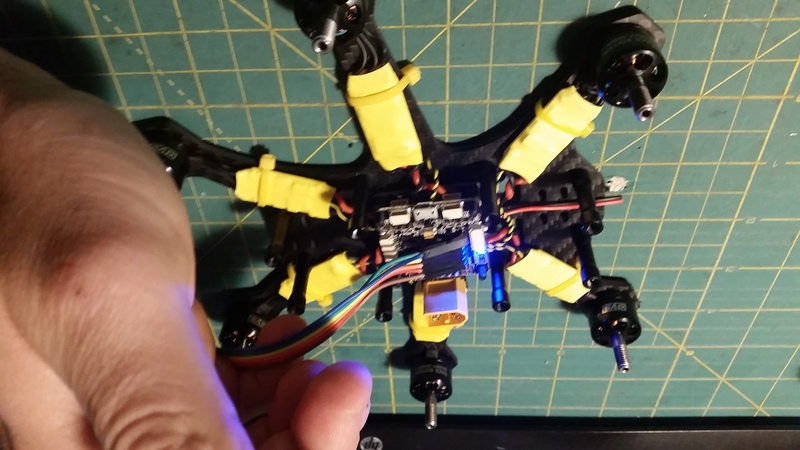 This tutorial will cover the reflashing and setup of the OSD part of the FC. The FC itself is setup as normal. Note that the OSD is not configurable via USB connector. This is reserved for FC configuration. 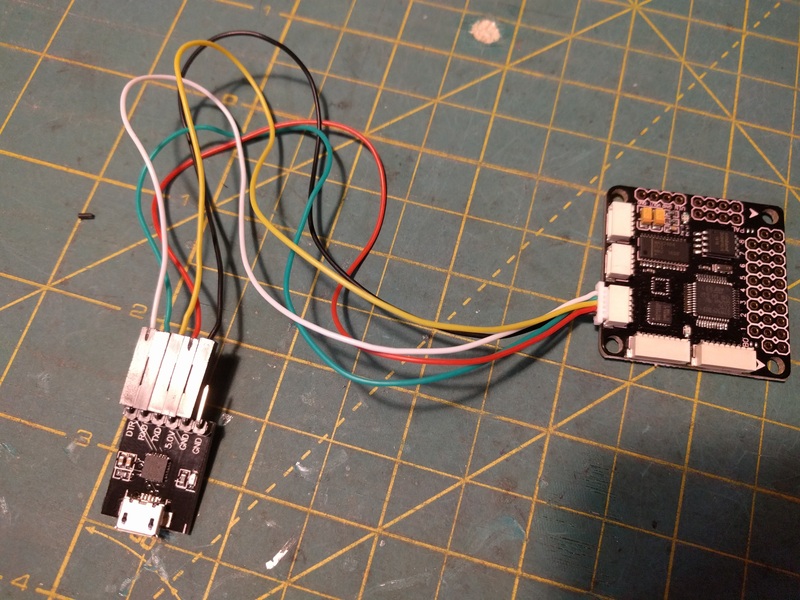 There is also a switch on the FC itself, this switch must be off if one wishes to configure the FC via USB as the USB and OSD share the same UART port. If you have unusual sluggish behaviour or inability to connect via PC the chances are the switch is on and must be switched off. 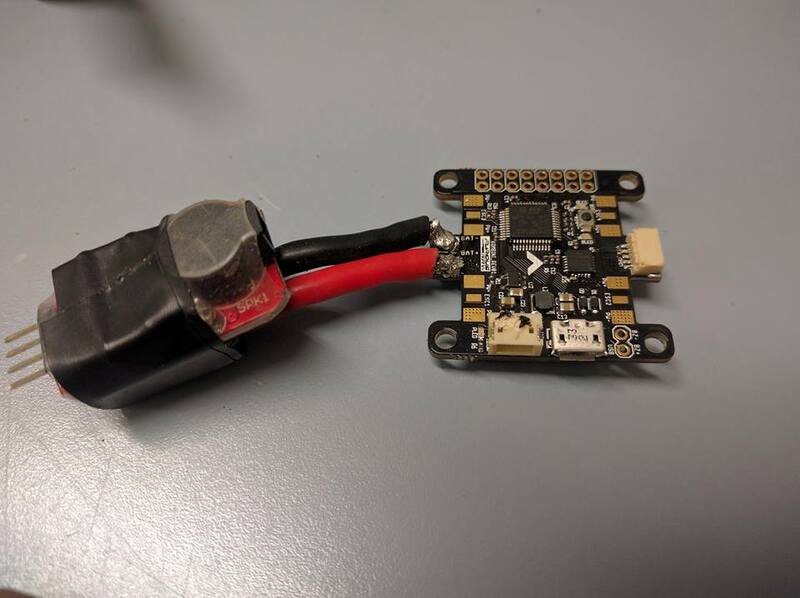 Inversely, if you are ready for flight but have no video feed you may have forgotten to switch the OSD back on after configuring via Cleanflight/Betaflight/Raceflight, assuming your setup is correct. For simplicity we will only look at a few vital features here. You can experiment at your leisure with some of the more advanced ones. They can be seen on the F1 below the USB connector, and near the switch on the F3. The F3s ports are marked on the underside, and it would seem the Tx/Rx markings are reversed, depending on your perspective of things. Regardless, if you hook up Tx/Rx wrong you should get sync issues and not be able to flash it correctly, so if you are having issues look at this first. These pins are also mirrored on the FTDI adaptor, which can come in many different forms. Here is the one Ill be using. 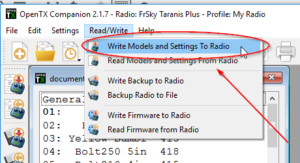 Its important to check that it is configured for 5v operation if you intend to power the OSD off the FTDI during the programming process. 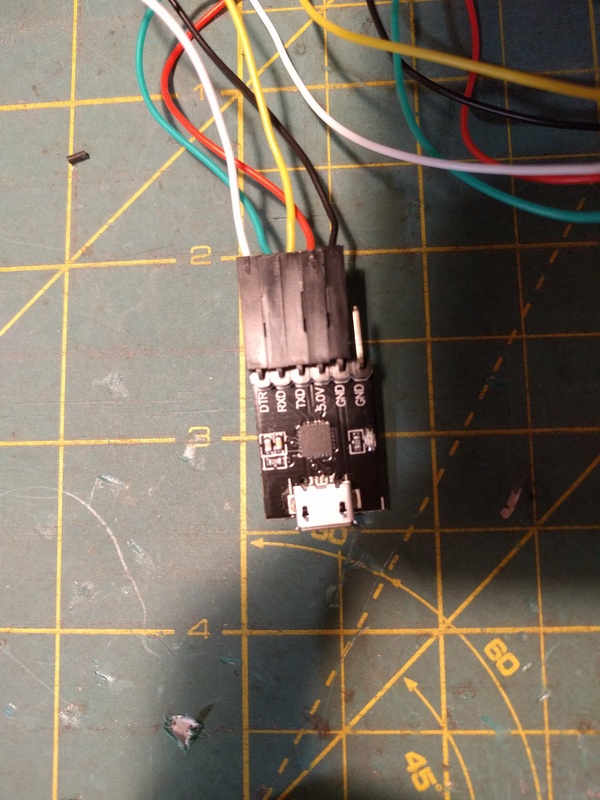 This one has a switch for 3.3v or 5v near the USB port. 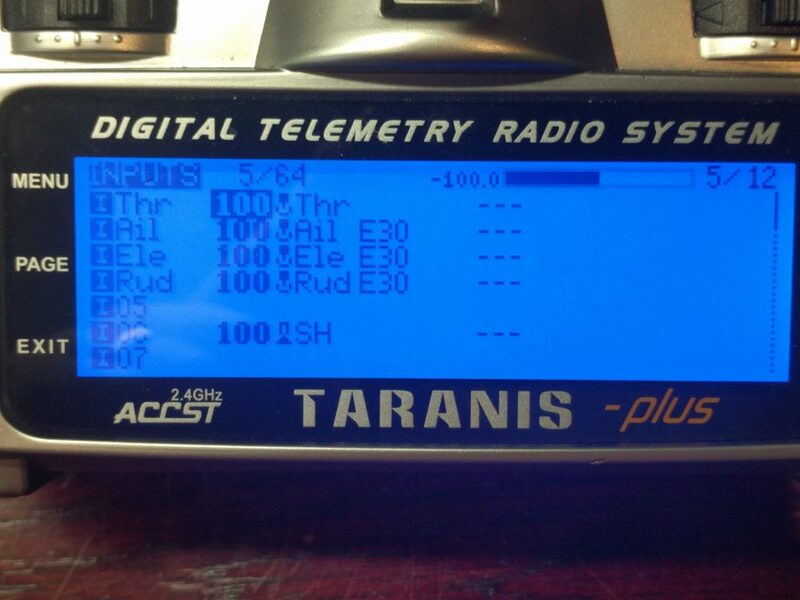 You will also see a pin labeled CTS, it is not needed in this instance. The pins should line up for direct connect, minus this CTS, so you can use single/double dupont connectors (servo) to match each pin to its counterpart on the FC. If you dont want to solder pins into the FC you can use a row of header pins and just hold them in place on the FC for the next few steps. If you ever need to reflash or reconfigure you will need them again, so keep a set aside for this purpose. 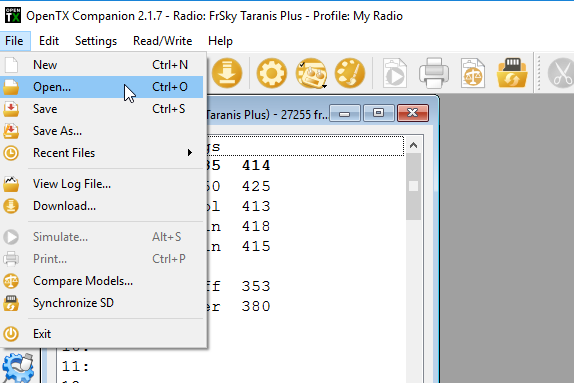 Download and install Arduino and familiarise yourself with the basics. Download Scarab OSD. Match the pins up via your temporary wiring harness. 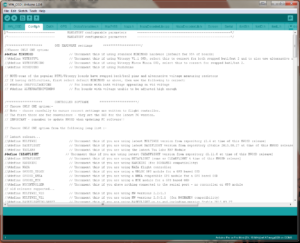 Once connected you need to open the Arduino file found inside the Scarab OSD folder called MW_OSD and check some of the settings on the Config.H tab. There is alot of parameters you can change here but everything should be set how we need it by default. Double check #define CLEANFLIGHT is chosen. Under the Tools/Board menu in Arduino check that Arduin pro or Pro mini 5v/16 MHz ATmega328 is selected and that you are on the right port. 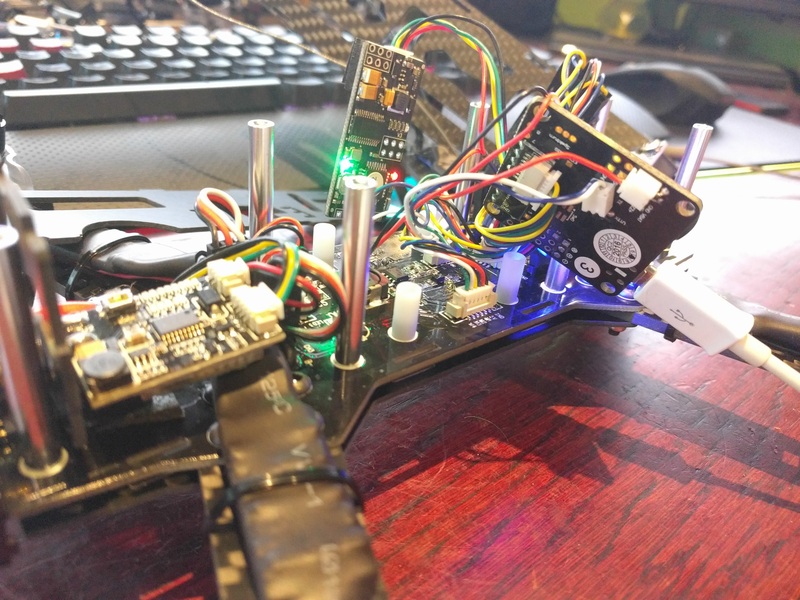 Now hit upload in the top left hand corner of arduino. It should start compiling and then upload. If you have any errors check that your ports are correct and that TX/RX is connected the right way. Once this is complete you can close down arduino and open up MW_OSD_GUI. You should see your available COM port, select it and hit READ. Select your FONT first and write it to the board. Once this is done you can pick and adjust all your display options. 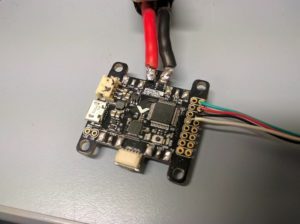 Make sure you select USE FC MAIN VOLTAGE for voltage display, this will use the voltage reading from Cleanflight, assuming you have connected Vbatt. Make sure you have written any changes and thats it. Your OSD is now ready to use. 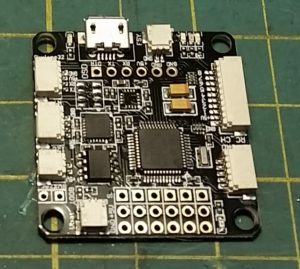 Kombini Flight Controller is a FC and PDB all in one. 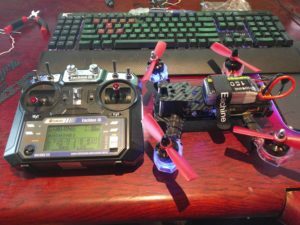 I was given a sample to review and below will be my build log and initial flight experience. 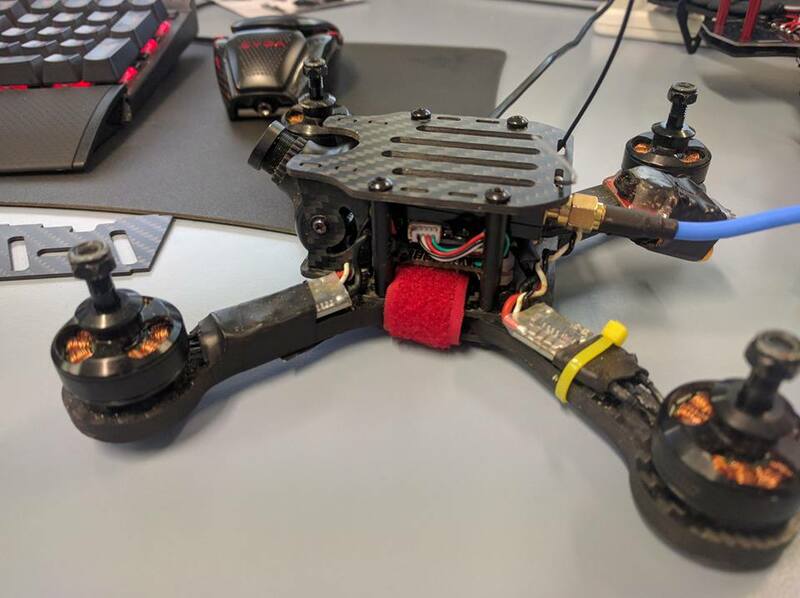 TL;DR This is am amazing FC, a little fiddly to wire together, but the space saving offered by this means even the the smallest of frames are easy to build. 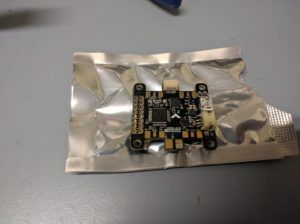 Unlike any other current brushed Flight Controller, the Komobin is the first to bring to market a FC + PDB all in one and can handle 150A of current @ 5s (18.5V). 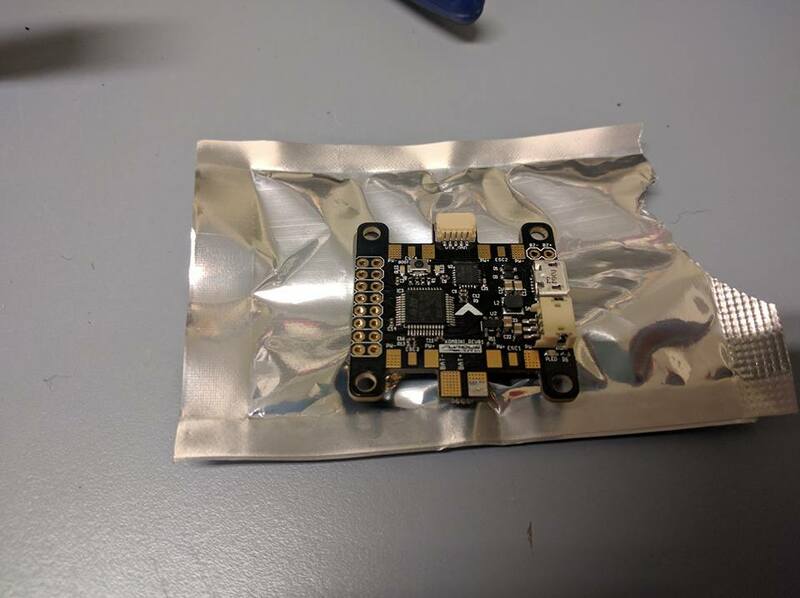 Based on the very latest F3 chip processor this FC can be loaded with CleanFlight or BetaFlight. 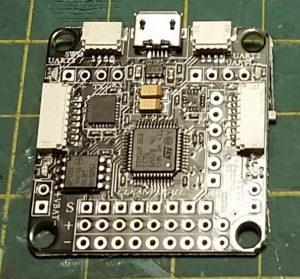 The initial concept of a PDB+FC all in one was great to me, until I head the FC in my hand and realised how precise my soldering will have to be. 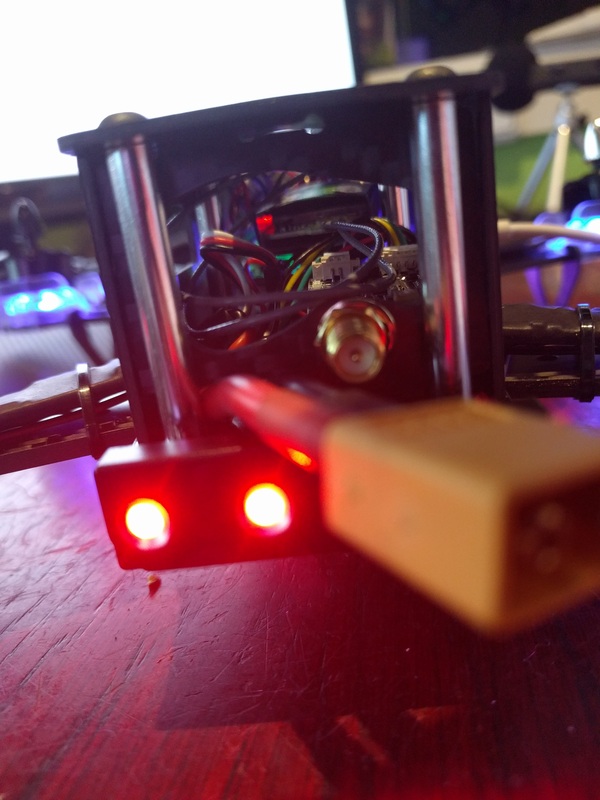 I was lucky enough to be able to use Phasers as my workshop to put this into an existing quad. First up was to add the XT60 power cord, which I needed to shave down a little so it would fit on the pads without shorting. 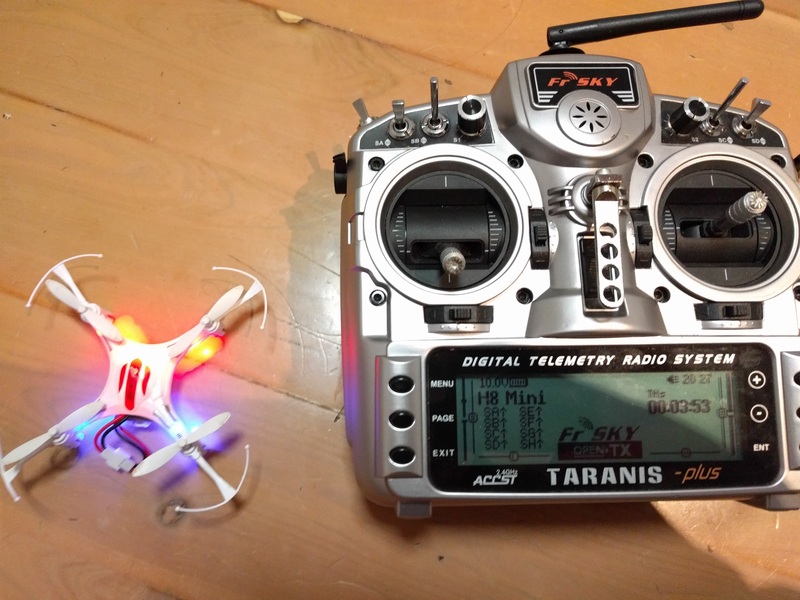 Once the power cord was added and tested I soldered up the RX, FrSky XSR w/ CPPM and SPort (for Telemetry). 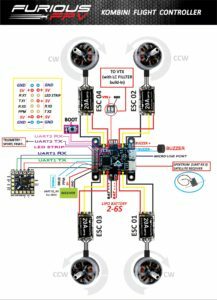 You can refer to the wiring diagram further below, please note that in order to get Telemetry working you will need to bridge the RX and TX of UART2 then connect your SPORT to either as they are bridged. The only issue I had with the Kombini was the built in Buzzer didn’t work for me, RCGroups forum is also a little confused as the FC description has both “Built in Buzzer” and “Buzzer Port”. 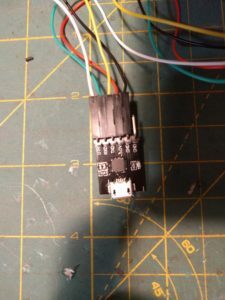 All I know is once I connected a external buzzer to the Buzzer port, it works perfect. 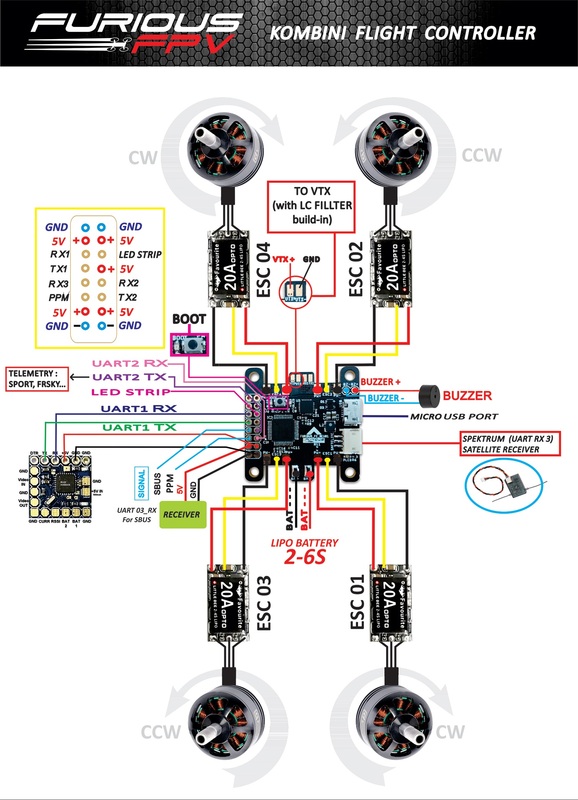 Here is a diagram of the Emax F1 + OSD FC video hookup. 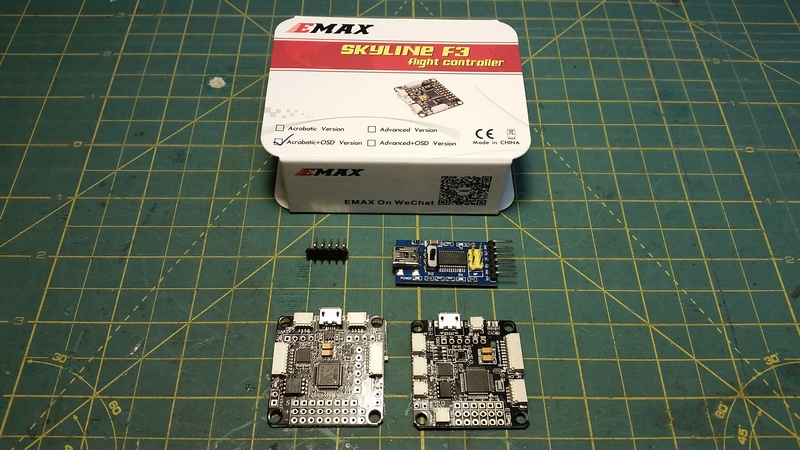 Please note that while the F3 is different the hookup is the same, just check you have the right tabs on the underside of the board. All the topside connections remain the same. *Please note, in most cases the ground connections can be omitted, so only Video in and Out are used. If you have any problems you may need to connect them. PLEASE NOTE. Further updates are available here. We searched long and hard and tried many video tutorials on good camera settings. These are the best we have found! Please do it in the order we have set, as some options won’t appear unless you do it in correct order. REMEMBER TO HIT RETURN AT THE END TO SAVE SETTINGS – POWER OFF THEN POWER ON AND CHECK SETTINGS WERE SAVED! Before you do anything, perform a factory reset. 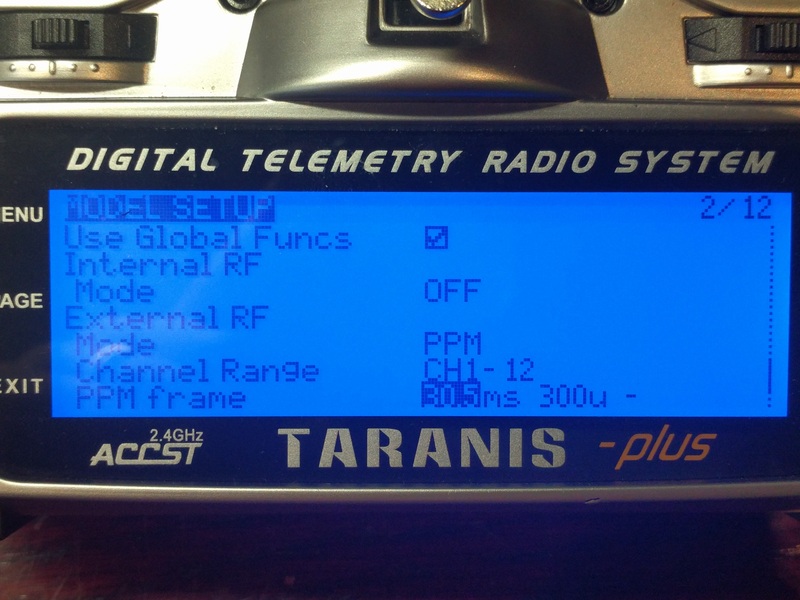 This page serves to be a complete guide with screenshots with every page on Taranis. Set Orange Module so that it flashing ONCE. 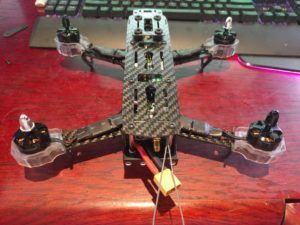 If no throttle, power cycle quad and lift throttle up then down then up again and then repeat if nothing happens. If still not having any luck, you may be missing a setting. Download my EEPE and load it here. 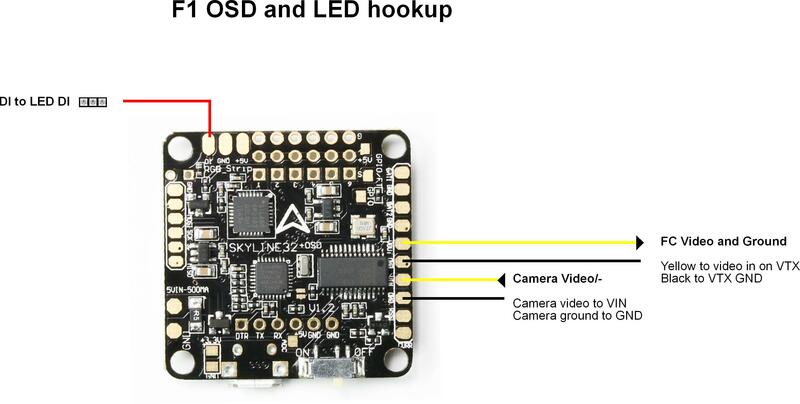 Page 5/12 – The key is to setting SH to ch 5 so you cna flick the switch to switch between self level and ACRO mode. 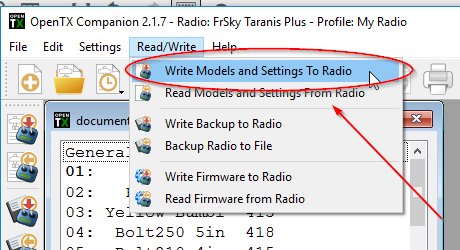 Now if you have done all the above, your orange module like below should be turned on. Push the Bind button three times (slowly) and it should change mode and blink once every 1 second. 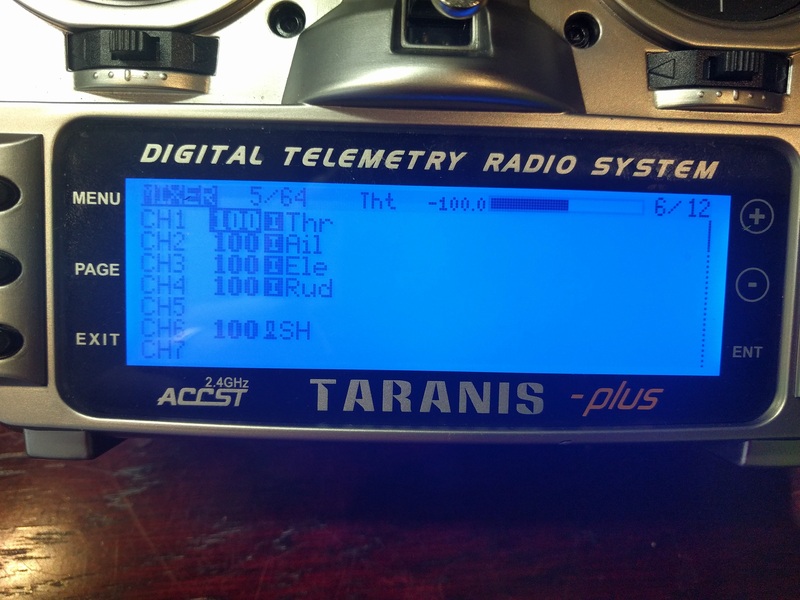 Once its blinking in the correct mode, turn off your Taranis, hold the bind button, and turn on taranis and keep holding bind until the quads lights stop flashing. You are now bound!If no throttle, power cycle quad and lift throttle up then down then up again and then repeat if nothing happens.